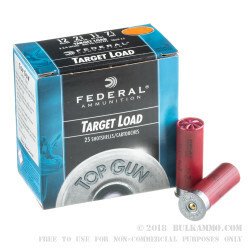 Federal makes their Top Gun shotshells for shooters who want to dominate in their sport of choice. 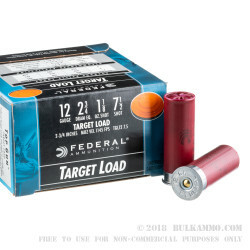 This 12ga ammo features 1-1/8oz. of #7.5 lead shot in each 2-3/4in polymer hull. 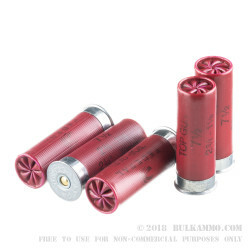 Federal's effective wad design helps funnel the #7.5 shot into concentrated clouds that can effectively penetrate a target within 30-40 yards. 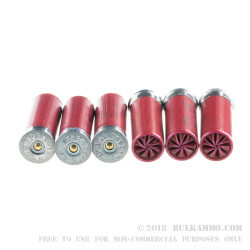 Great for hunting varmint, dove, and other small game, these target loads will fit the bill for a variety of activities. Established in 1922, Federal has spent 90+ years outfitting the American shooter with some of the best ammunition on the market. Order a few 25-round boxes of this 12ga Top Gun ammo today and experience Federal Premium ammunition yourself!